This week renown Netherlands based superyacht builder Amels launched the first hull of its Limited 188. The 188 represents the eighth design in the limited range which is responsible for more than 20 superyachts over 50 meters. 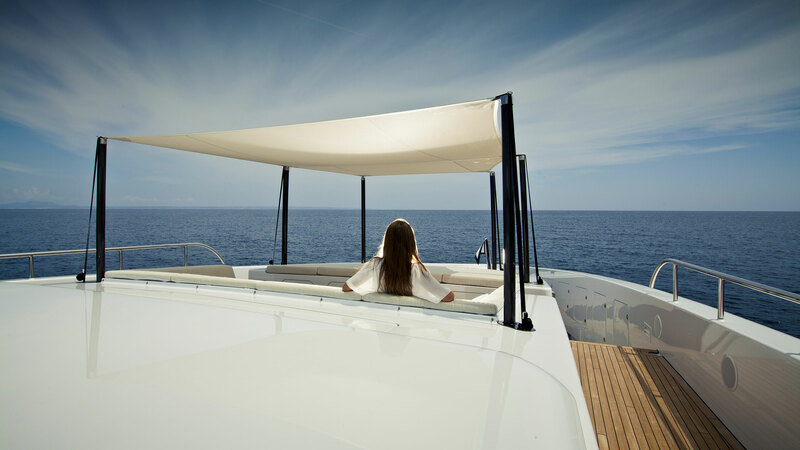 The new Limited 188 was originally introduced to the world at the 2015 Monaco Yacht Show and features a nearly 11 meter beam enabling extremely spacious guest accommodations for 12 across six staterooms and additional crew accommodation for 13. The exterior styling was created by Tim Heywood and the interior is the work of Reymond Langton design. The 188 is still undergoing final outfitting and as such many key details have yet to be released. It is known that the superyacht is built on a traditional steel displacement hull with aluminum superstructure. Additionally, the Limited 188 will be the first hybrid powered yacht in the Limited Edition series. Final details of this hybrid propulsion system have yet to be released. Although outfitting is ongoing and final sea trials have not been completed, Amels says it anticipates a top speed of nearly 16 knots for this hybrid powered superyacht and a cruising range of greater than 4,000 nautical miles when backed down to its 13 knot cruising speed. The Limited 188 features a great deal of outdoor living space across its four decks and it is clear that a large beach club and jacuzzi are among the many amenities included in this new build. Additionally, there will be a helipad option for owners or guests who prefer to arrive by air.